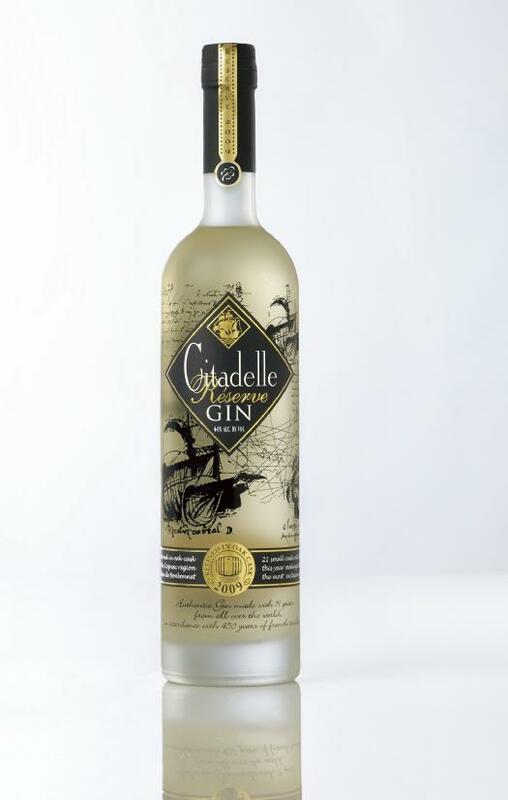 Citadelle isn’t just releasing this specially-flavored (with 19 spices) and cognac-barrel aged (5 months) gin — it’s actually going the vintage route, with this 2009 edition recently hitting shelves. Versus the 2008 version, the only difference in recipe I can tell is one month less in oak: 5 months vs. the 2008 bottling’s 6 months. It’s still a hazy golden hue, with spice and citrus, and a little vanilla finish imparted by the time in cask. Just as good as the 2008 — perhaps a little smoother, even. I like it a lot and recommend it just as highly as last year’s model. Even better: It can now be found for cheaper than the 2008, about $5 less per bottle. Win. I wonder if the one month less was an effort to push the cost down or if they realized the price point, considering it’s competition (T10, BE24,) was a bit high and, seperatly, that the taste would be improved by one less month. Either way, I’ll stick with BE for “real” gin and Bulldog for “modern” gin. Now if only I could find a single store, restaurant, or hotel that carries this stuff.